Brendan Rodgers, who was unveiled as the new manager of Leicester City this week, has been speaking about his time at Liverpool – admitting he has a couple of regrets. Rodgers gave the Reds possibly the most fun season in recent history – although, hopefully, that will be eclipsed this year – but after 2013/14, it unravelled pretty quickly. 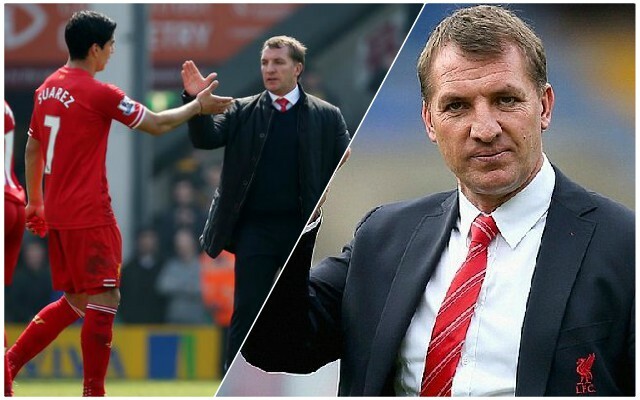 Looking back at his time as Reds boss, Rodgers said, via the Liverpool Echo: “We obviously lost Luis [Suarez, in 2014] and the whole thing exploded. “The only shame for me is it would have been great to have had the team we had in the [2013/14 season], just to follow through into that next season because we had a really strong team and could have done well. Often, Rodgers doesn’t get the credit he deserves for that brilliant season where the Reds went so close. Not replacing Suarez, though, was his downfall, as he has admitted. Jurgen Klopp has taken the club to a new level, but that is not to say Rodgers did a bad job during his time with the club. The Reds have played Leicester twice this season already, but he could do us a favour by beating Manchester City in the run-in: Pep Guardiola’s side host the Foxes at the Etihad Stadium on the penultimate weekend of the season.